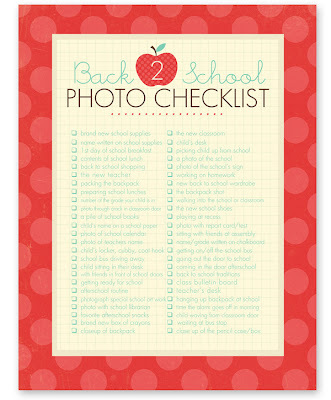 Our first day of school is Monday, so I have been looking online for some fun ideas for photos. We have moved into a new house, so the traditional in front of the tree photo will have to be replaced with something new. I also typically take one of the kids in front of their school sign, but my oldest is now in middle school and I am pretty sure he won't be game for that AND a strom knocked down the elementary school sign a couple weeks ago and it is still being repaired. So back to the drawing board!! 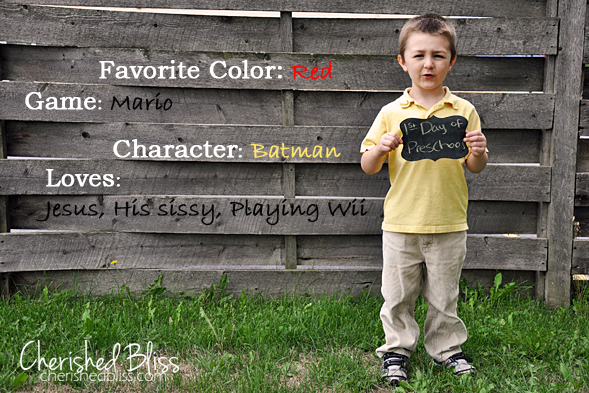 I love this cute first day of school photo idea from Chrished Bliss. It combined two of my favorite back to school ideas, chalkboard photo props and photoshopping back to school info onto the picture. 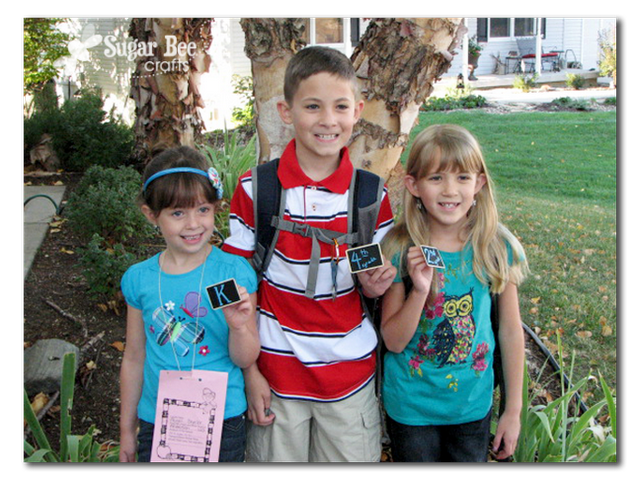 Mandy from Sugar Bee Crafts had her kids each hold up these cute miniature chalkboards with their grade on them! I usually take a picture of my kids holding up the number of fingers for the grade they are in, but this is much cuter! And Blue Cricket Designs's idea is one I really love, because I don't need a chalk board speech bubble or to remember to print anything out. 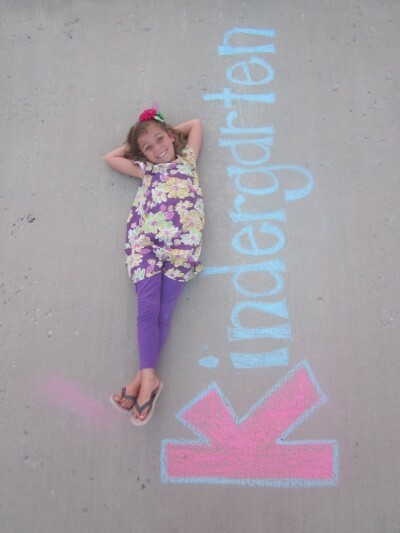 I just have to borrow some sidewalk chalk from my girls and take this fun first day of school sidewalk chalk photo. If you are looking for a few more ideas, Simply Creative has a list of back to school photo tips that you can check out for inspiration and Simple As That has a great printable first day of school photo checklist to make sure you don't miss anything.